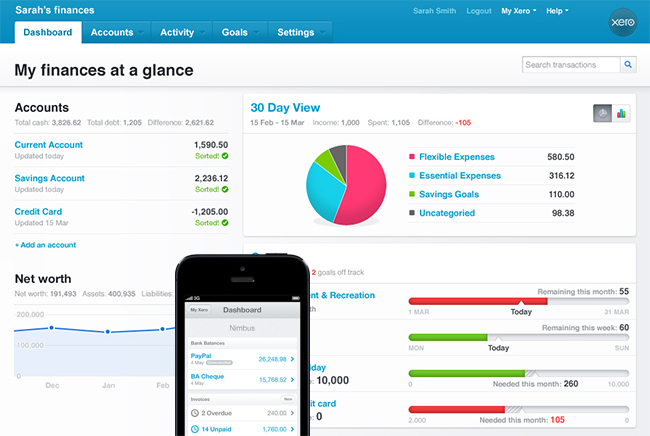 Xero online accounting software is the most powerful cloud product on the market. If you are currently using Sage, Quick Books or any other desktop/server based software, we would recommend that you visit www.xero.com now to see what you are missing out on. Xero has smashed the boundaries of accounting software making it usable for everyone. It is also a very reasonable priced compared with Sage and the integration with other software providers, such as inventory and CRM systems, makes it an open and flexible product. Once you purchase Xero you could be fooled that you no longer need an accountant, however this could not be further from the truth. Xero is easy to use and depending on the size of your company you could either complete the data entry yourself, (no longer needing a bookkeeper), or reduce the time and money spent on the data entry side. The powerful element of Xero and what makes it more useful that other accounting software, is the reports Xero can create. The software enables your accountant to move away from historic accounting and help you move forward with cashflows and future earning projections. Nimbus Accounting specialise in Xero, from setting up your account, transfering your data from your old system, training you and your staff, plus providing on going support. By using Xero our accountants have live access to the same information you have, which makes collaboration and virtual meetings possible. Additionally as our accountants have constant access, we can monitor your data and help with any ongoing issues as they arise and tax planning opportunities. Xero is so quick and easy to use that you should save time and money on your bookkeeping costs. With so many add-ons to choose from you can really enhance your internal control systems with Xero. Live bank feeds direct from your bank daily which makes your bank reconciliation a piece of cake. From profit & Loss statements to budgets, Xero is a great tool to monitor and control your finances. Xero is so much more than a flat accountancy package, with Xero and our accountants expertise we can help transform your business. We will implement a robust accounting function within your company that will enhance control and monitoring of your financial position in real time. If you would like a free demonstration of Xero by our expert accountants, please contact us.